Often, a parent’s role in helping teens through problems at school involves counseling them through difficult situations and encouraging through those bumps in the road. Sometimes, though, parental intervention is required. Examples of situations requiring intervention include sexual harassment, bullying, or illegitimate grading scenarios. Once in a while, even parental involvement is not enough to allay the risks of a young person’s continued attendance at the school. 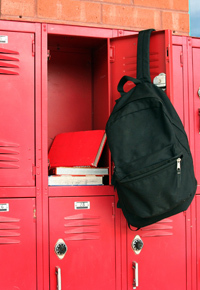 With trouble at school, a definite possibility is that your teen will want to drop out. Even though the U.S. dropout rate decreased from 14% to 8% between the years of 1980 and 2009, it’s still fairly high among certain minority groups. With connected risks such as heightened chances of incarceration and decreased chances of getting a good job or going on to further education, parents should do all they can to help their teen see options other than dropping out of high school. Available in states such as Michigan, Wisconsin, and New Jersey, the basic idea is that “local school districts [are permitted] to enroll students who reside in other local school districts within the same intermediate school district.” While such provisions vary on a state-by-state and district-by-district basis, it’s certainly worth checking on your local district’s policies on choice. Similar to some types of homeschooling, this option is available to Pennsylvania residents and is free to any family within the state. All the technology needed is provided through this virtual public school district, and even field trips are included. The idea behind early colleges is to provide greater academic challenges to high school students while giving them college credit, in the mean time. Saving both valuable time and money, this could be a great possibility for kids who are seriously bored with standard public education. Like the district choice idea, charter schools are available to students within a broader district than the typical boundaries. Like early colleges, they often allow for greater academic challenges, and the format is typically unique. Some charter schools focus more on artistic endeavors, while others focus on math and science. If you do wish you could afford an area private school, it doesn’t hurt to call and ask about government grants or scholarships they have available; some apply only to first-year students coming from public schools. Homeschooling materials can also be funded in part by your local school district, as long as you keep your child enrolled (and, therefore, they receive the attached funding). When Does Overachievement Become Bad?